After using the Force in the kitchen, show off your epic skills on this awesome Star Wars BB-8 Serving Platter! 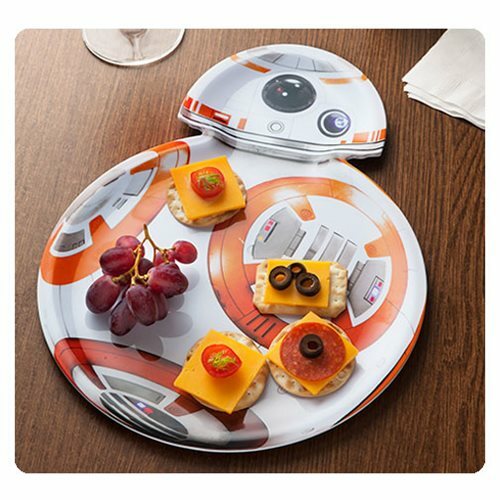 Whether it's Cheese Whiz on crackers or caviar, your snacks will taste 20% more epic with the appropriate housewares - such as this Star Wars BB-8 Serving Platter. Almost 11-inches across and made from durable melamine, this little droid is ready to help you shine! Hand wash only. Not dishwasher safe. Do not microwave. Ages 13 and up.